British Library, Yates Thompson MS 13, fol. 85v. 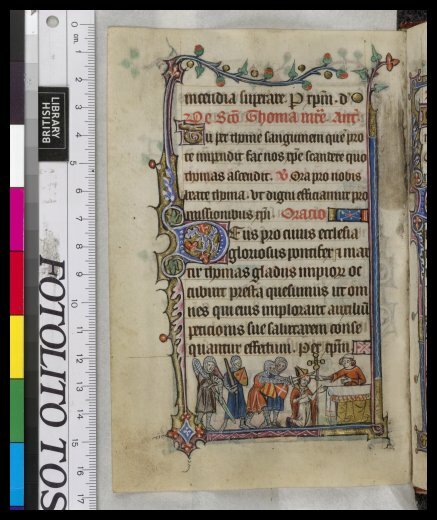 To read a description of the manuscript, click here. I like Becket because (a) he stood up to the king, (b) he took his job seriously, (c) he hid his piety even when (d) he would have been more popular with other churchmen had he not done so. So now you know where to go tomorrow at dawn. Or dusk.